Okanagan Pet Cremation has been the trusted choice for people who have lost their fine furry friends throughout the BC interior for over 17 years. They are happy to provide reliable and professional pet loss and memorial services whenever that emotional time may come to pet lovers. 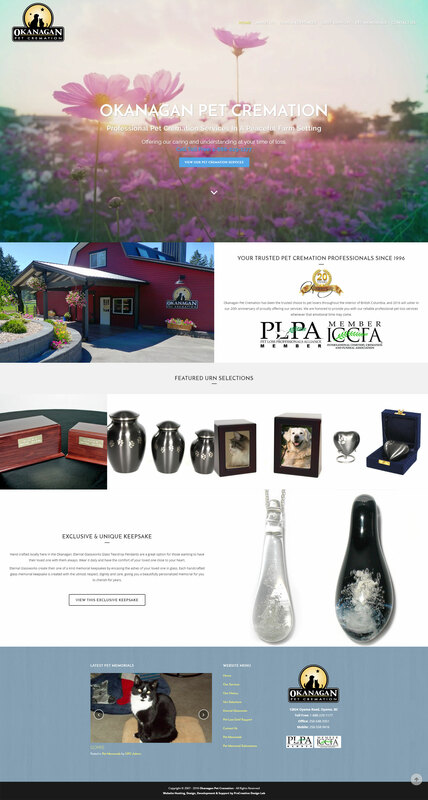 Okanagan Pet Cremation offers professional pet cremation services in a peaceful farm setting with care and understanding at your time of loss.